February 17th, 2014 by Matthew Murray | Comments Off on Digital Initiatives on Flickr! So far we have photos from nine different collections on Flickr, and we’re uploading about a dozen new photos to a different collection every weekday. Once we finish uploading all the photos from a specific collection we’ll start adding a new one! If you have any suggestions for which collections you’d like to see on our Flickr page let us know in the comments. Follow us on Twitter to get updates about what collections have been updated, and for links to photos we think are especially awesome. 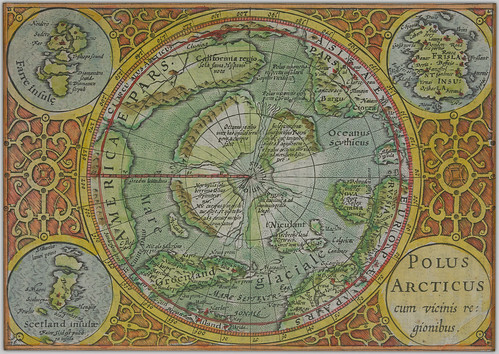 A diverse collection of historical maps and illustrations, dating from 1503 to 1910, that pertain to the exploration and mapping of the world, the evolution of cartography, and the explorarion and settlement of North America. 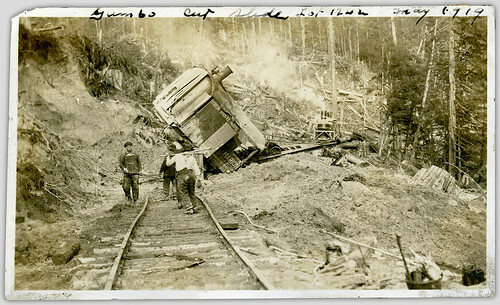 The images are originally from a single photograph album, and depict the operations of the Capilano Timber Company, including loggers, logging camps, and views of the Capilano Valley and the Capilano Suspension Bridge in North Vancouver. The Wallace B. Chung and Madeline H. Chung Collection is an outstanding collection of archival documents, photographs, books and artifacts related to three broad themes: British Columbia History, Immigration and Settlement and the Canadian Pacific Railway Company. As a young man H. Bullock Webster (1855-1942) came to Canada from England and began working as an apprentice clerk for the Hudson’s Bay Company in 1874. While in the service of the company Webster travelled extensively to HBC posts throughout the Canadian west and in particular northern Alberta and British Columbia. By 1878 he was in charge of the trading post at Fort Connelly on Bear Lake in northern British Columbia. Although never formally trained in art, Webster sketched throughout his life. While in the service of the Hudson’s Bay Company he compiled an album of some ninety three colour sketches depicting social life, activities, customs and dress in and around Hudson’s Bay Company posts mainly around Stuart Lake and Fort McLeod during the period 1874 to 1880. 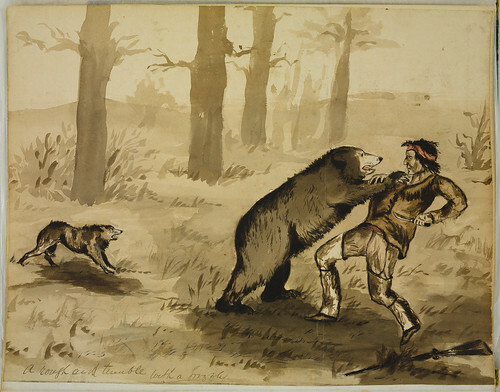 Many of the sketches included First Nations as well as Metis people whose participation was critical to the Canadian fur trade. 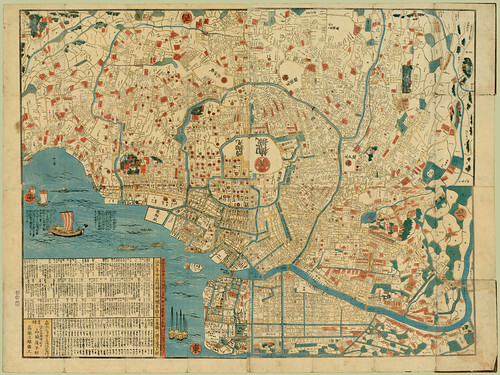 UBC Library’s Rare Books and Special Collections holds one of the world’s largest collections of maps and guidebooks of the Japanese Tokugawa period, ca. 1600-1867. The collection varies in both format and size: items range from small single-sheet maps to more than thirty square feet, and also include a ceramic plate, a woodblock, and 15 maps in scroll format. Most of the items in the collection are rare, and some are unique. Born in Sweden, Peter Anderson emigrated to the United States in 1885, worked as a logger in Wisconsin, and later owned a sawmill in Washington. He later moved to British Columbia and started a new logging company at Knox Bay. 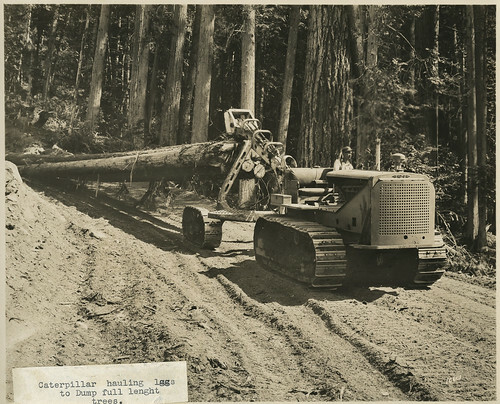 The photographs document early logging operations in British Columbia as well as Anderson’s experiences in the forest industry. 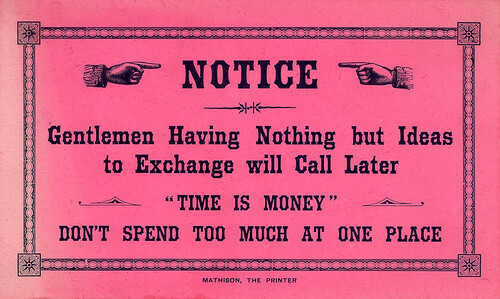 The R. Mathison Printing Collection contains materials, printed between 1886-1890, for businesses in Vancouver by R. Mathison Jr., The Job Printer. The style is visual; often with mixed fonts and fancy script. 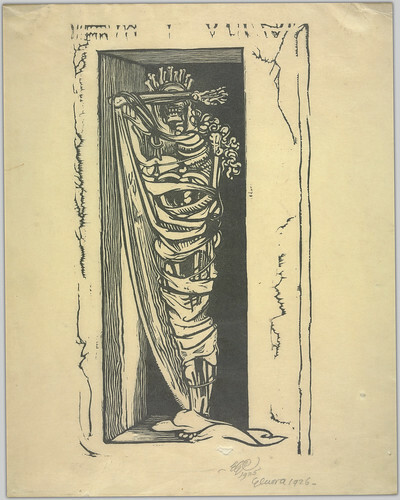 This collection includes prints, photographs, charters, and documentary artworks, all originating from diverse sources. Some of works form part of a larger collection or fonds held by the Archives or Rare Books and Special Collections. Some items are interesting examples of a particular artistic medium or technique; others provide valuable visual documentation of scenes from British Columbia’s history. As a number of these works have little or no identification, we would welcome receiving corrections or additional information. Please contact us at spcoll@interchange.ubc.ca. 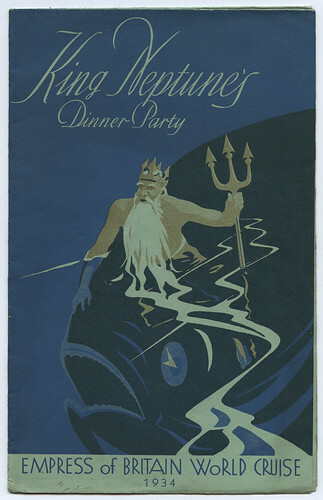 Posters, broadsides, and ephemera from World War I, published in Canada, Belgium, England, France, Germany, and the United States. 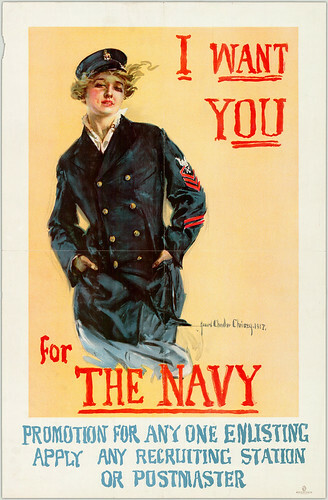 The posters cover a variety of subjects including recruitment and enlisting, savings stamps, savings and victory bonds, women, agriculture, and munitions. Posted in Digitizers' Blog | Comments Off on Digital Initiatives on Flickr! Bernard M. Hoekman & Michel M. Kostecki, The Political Economy of the World Trading System: WTO and Beyond, 3d ed. (Oxford: Oxford University Press, 2009). Navin Joneja, Regulation of Foreign Investment in Canada: The Investment Canada ACT – Law, Policy and Practice: (Toronto: Carswell, 2013). Donald J. Rennie et al., 2014 Crown Liability and Proceedings Act (Toronto: Carswell, 2013). Thalia Anthony, Indigenous People, Crime and Punishment (Abingdon: Routledge, 2013). SAGE Research Methods Online (SRMO) provides information about research methodology, principles, design and analysis. SRMO includes over 175,000 pages of content from academic publisher Sage Publications, including books, book chapters, specialized encyclopedias, videos, and journal articles.